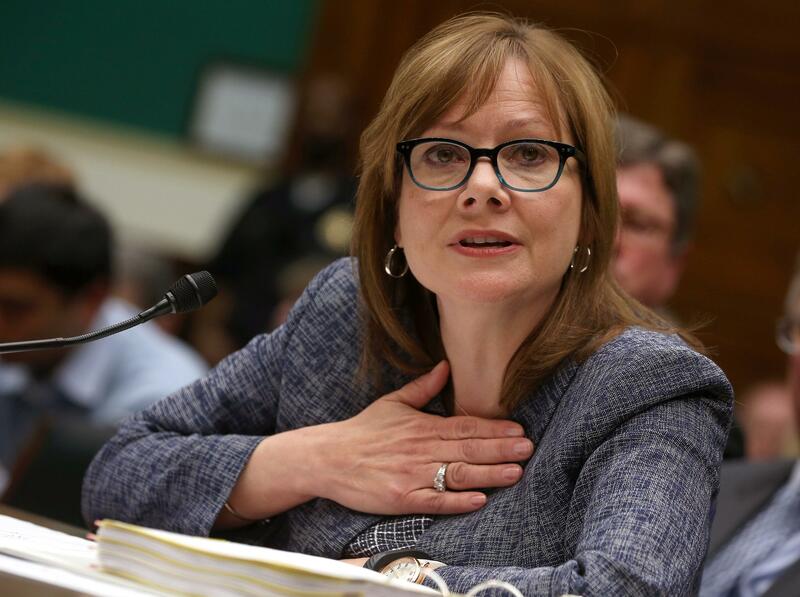 GM CEO Marry Barra testifies before congress about the slow pace of GM’s recall. General Motors CEO Mary Barra testifies during a House Energy and Commerce Committee hearing on Capitol Hill on Tuesday. General Motors CEO Mary Barra testified before Congress on Tuesday on why the automaker she now heads took so long to recall cars with a faulty ignition switch that has been linked to more than a dozen deaths. During intense questioning, Barra discussed the reason why GM hadn’t fixed the problem sooner—cost. But how cheap was GM? Colorado Congresswoman Diana DeGette, in particular, took Barra to task for the company’s unwillingness to pay to fix the problem of its own making. How much does an ignition switch cost anyway? A little more than 50 cents each, says DeGette. During her testimony, Barra said, according to the Associated Press, “the automaker’s decision not to make the fix because of cost considerations was ‘disturbing’ and unacceptable, and she assured members of Congress that that kind of thinking represents the old General Motors, and ‘that is not how GM does business’ today.” Barra, who took over as the company’s CEO earlier this year, estimated that fixing the ignition switch in 2007 would have cost GM in the neighborhood of $100 million. Over the past several months, GM has recalled some 2.6 million cars because the faulty ignition switch “can cause the engine to cut off in traffic, disabling the power steering, power brakes and air bags and making it difficult to control the vehicle,” the AP reports. Here’s more from the AP on Barra’s testimony and DeGette’s questioning about how a couple of quarters represented an unacceptable cost to the company. Barra was firm, calm and polite throughout the proceedings. But she struggled at times to answer lawmakers’ pointed questions, particularly about why GM used the switch when it knew the part didn’t meet its own specifications… Rep. Diana DeGette, D-Colo., held up a switch for one of the cars and said a small spring inside it failed to provide enough force, causing engines to turn off when they went over a bump. DeGette showed how easy it was for a light set of car keys to move the ignition out of the “run” position. GM has said that in 2005, company engineers proposed solutions to the switch problem, but the automaker concluded that none represented “an acceptable business case.” “Documents provided by GM show that this unacceptable cost increase was only 57 cents,” DeGette said. The 57 cents is just the cost of the replacement switch. The figure does not include the labor costs involved in installing the new part.